The test was performed from July 7 up to October 22, 2009. Before the test we prepared the testing environment – a set of clean virtual machines under VMware Workstation 6.0 with Microsoft Windows XP Pro SP3 installed (it was not updated on purpose). 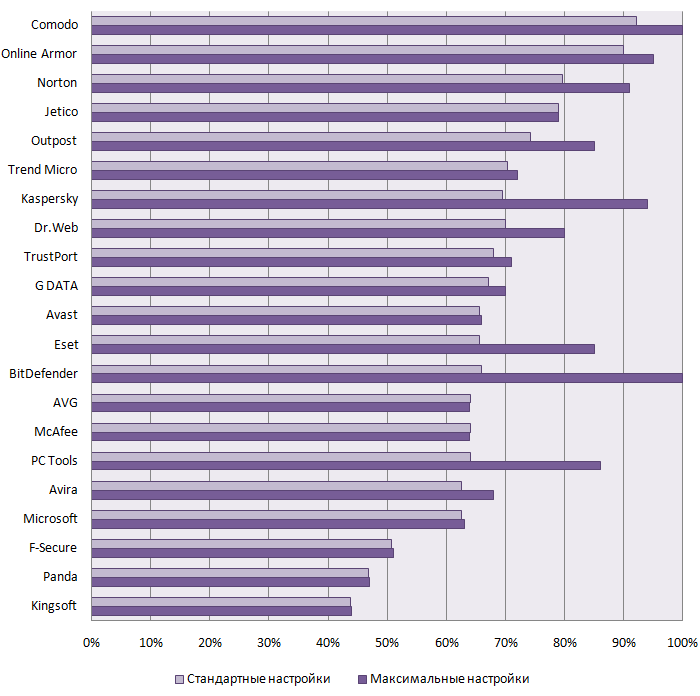 Each computer has its own separate protection software installed from the list given below. Unfortunately, some vendors issued their products updates during the long testing period and it could not be reflected in the final test results. It is worth mentioning that all the antiviruses were tested with default settings and updates received in automatic mode. In fact, was created a situation as if an ordinary user having one of the tested protection applications installed on his computer used the Internet and clicked some interesting links he got this or that way (see above). For the test we selected the links to the sites infected by Zero-day malware samples. What does "zero-day" mean? It means that all the malware downloaded via these links must not be detected by file antivirus software from more than 20% of the tested products link that was checked through VirusTotal service (a 41-antivirus engine is plugged in at the server). If the samples selected were even detected the verdicts as a rule were uncertain (an infection suspect or a package). The number of samples meeting all the requirements was not big and that influenced the final selection size and testing schedule. 36 working links to the Zero-day malware were selected within several months of the test and they were used in the testing process.